Many leafy green vegetables are excellent sources of vitamins A and C and contribute calcium, iron, fiber and other nutrients. The federal government’s National Cancer Institute reports that foods rich in vitamins A and C have been associated with the reduced risk of certain cancers. Greens are best simply steamed or sautéed in a small amount of olive oil for three to four minutes. Season with a little lemon juice, salt and pepper. Or, include them in your favorite dish for added nutrition. This powerful green has a mild, earthy flavor. Search for smaller leaves as the taste will be sweeter. 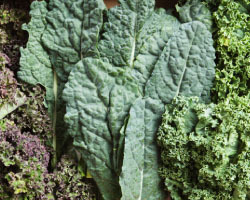 Rich in beta-carotene, kale has been shown to assist in the fight against cataracts. 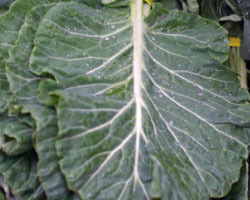 Also called collards, they are a common staple in Soul Food cooking. With a taste between cabbage and kale, they provide an excellent source of vitamins B6 and C, as well as carotenes and fiber. 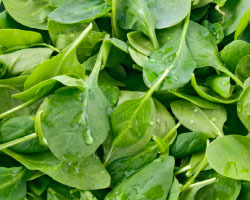 Of Middle East origin, this green has a slightly bitter taste and is rich in vitamin K, folic acid and carotenoids. 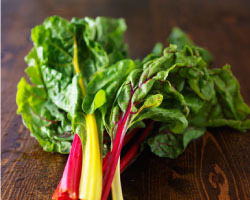 Known for being one of the most nutritious vegetables, Swiss chard has many health benefits. It has high levels of calcium, magnesium and vitamin K that stimulate bone growth and development.